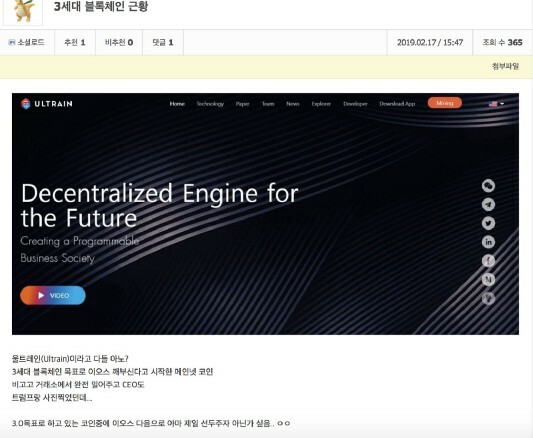 Ultrain Community Continuous to be Active Oversea: Ultrain is the Hit! As a project that has always attached attention in both the domestic and overseas markets, Ultrain has been vigorously promoting the construction of a global ecological community. 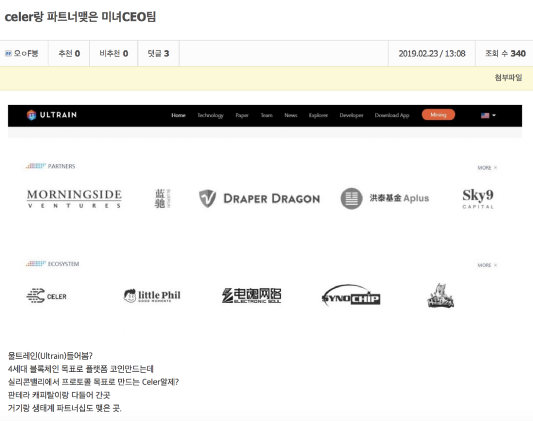 As the construction of the domestic community is fully in motion, the Korean community manager are also managing the local community well: the Ultrain project is very popular among our Korean community. The official Kakao group has reached 600+ people, and the official Telegram group has just been established, which is close to 400 people! 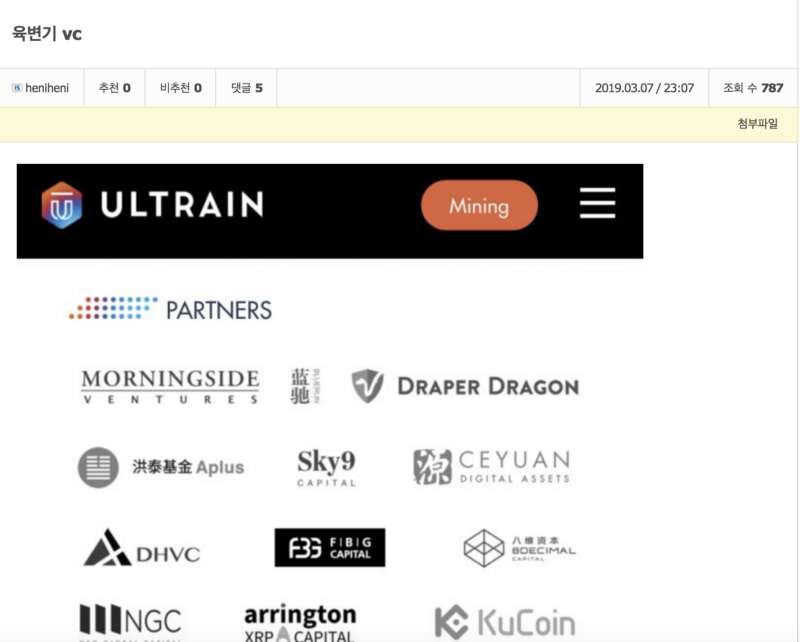 In addition, Ultrain is also quite popular in many well-known blockchain websites in Korea, such as Coinpan, Cointalk, Blockchainhub, Bitman and so on. Ultrain’s presence on these popular websites and discussion posts around Ultrain have reached thousands of hits. 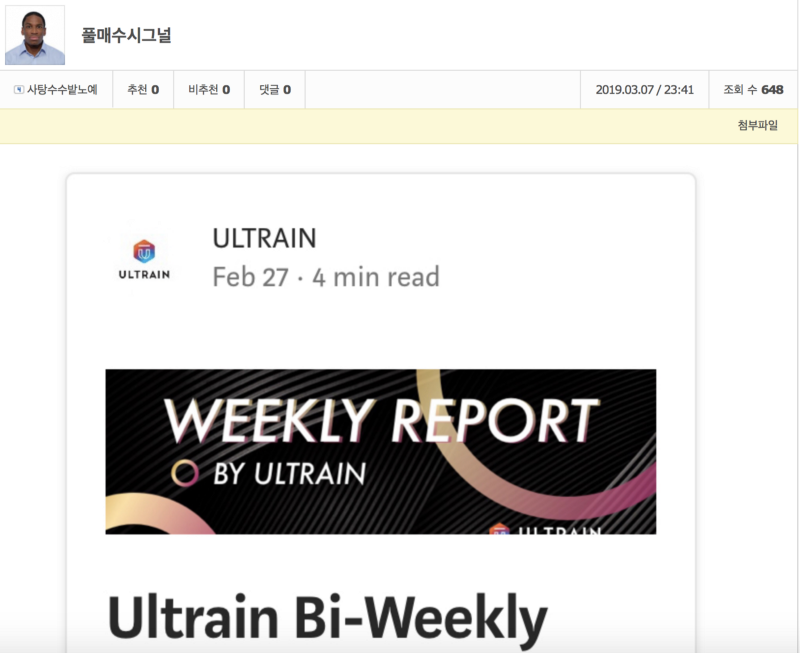 With the efforts of the Ultrain Korean community, more and more Korean people are paying attention to Ultrain and join our community. 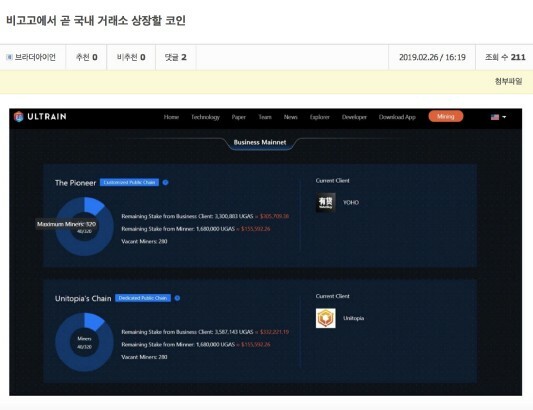 We believe that , korea as one of the most active countries in the global blockchain industry will definitely empower us. Ultrain’s project will continue to influence, Improve and accelerate the commercial application of blockchain technology! Stay tuned for more news from Ultrain.